SecretBuilders Builder Logs: I Found a New Clothing Shop on Treasure Island! I Found a New Clothing Shop on Treasure Island! 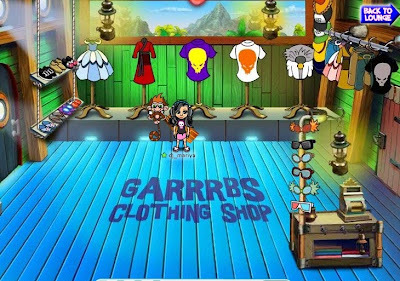 I was just strolling aimlessly on Treasure Island when I saw a new store, called Garrrbs Clothing Shop. Needless to say, I went in in a fraction of the second. I love clothes and accessories! Don't you? Come on... Who doesn't? So I bought some new clothes, made a list of things I want to buy later on, and left for the North Pole (it's so hot these days - I need to think of snow to feel a little better). So, upon my arrival, I noticed a red flag on my menu that read "Specials." Oh, that's definitely a word I can't ignore - and you shouldn't either!! !